Send gift baskets today to Moscow, Nizhniy Novgorod, Oryol, Pskov, Rostov-on-Don, Ryazan, Saratov, St - Peterburg and other cities of Russia! Gift baskets from $69.99. Fruit baskets delivery to Russia Same Day Delivery. 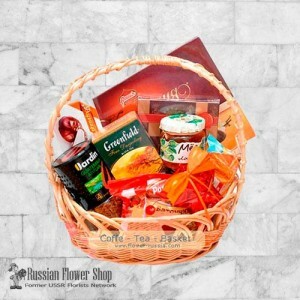 Online gift baskets delivery to Russia. Big Fruit basket. Assorted fresh fruit basket of delicious seasonal fruits including a pineapple. Pl..